We’ve been blessed to have had an incredibly busy holiday season so far with lots of friends, family and good food. We hosted our first party in our new home and were excited to see those who came from near and far. Marvin and Angelica drove up from Los Angeles the weekend after our Christmas party and were so sweet to bring goodies from Porto’s Bakery. I had never been there before in all my years living in LA, so I was excited to try it. They brought potato balls which I forgot to take pictures of… they are mashed potato balls with ground beef in the center of them. It’s a Cuban dish that I had never tried before but I’m searching for something similar in our area. They were quite amazing and filling! I’m sure I’d order potato balls just about every other weekend if I lived in the vicinity. For dessert they brought this ginormous and beautiful chocolate cake (also from Porto’s) to share with us. It looks amazingly rich and decadent but it was surprisingly light, if you can believe it. TM and I shared the cake with dinner guests the next night and then ate the remainder of the cake for days and loved every single bite! 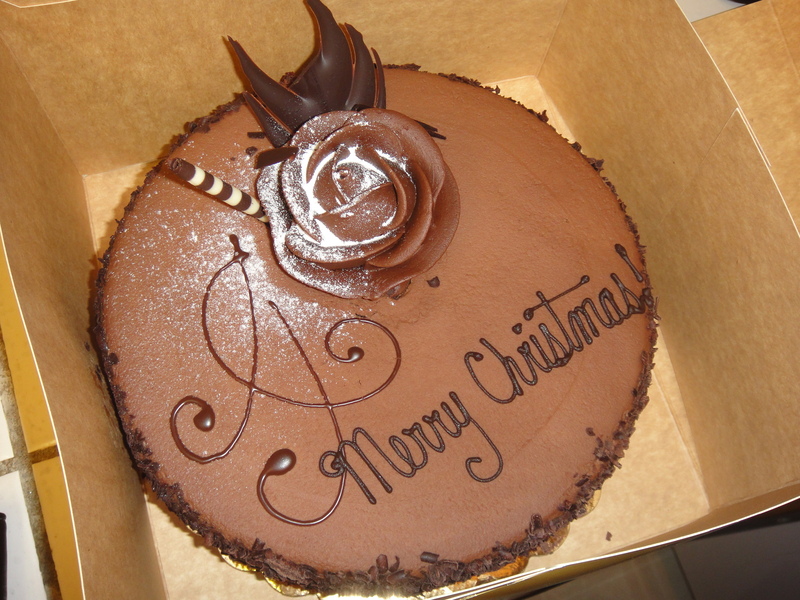 You are currently browsing the For the Love of Food weblog archives for December 2011.